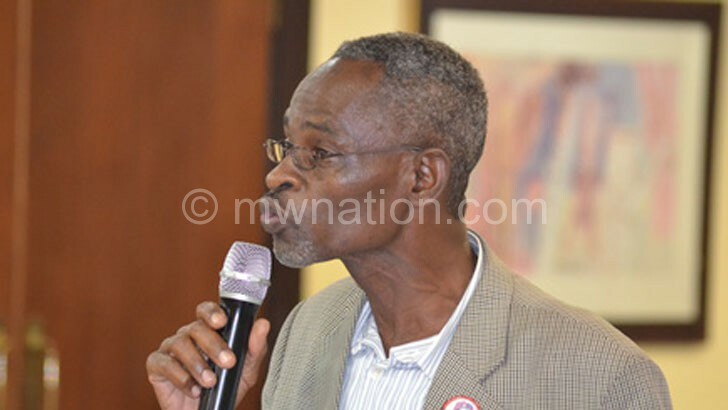 Tension stained the closing stages of the Public Affairs Committee (PAC) 5th All Inclusive Stakeholders Conference Thursday night when opposition political parties and government representatives turned the meeting into a battlefield. It all started after some government representatives disputed particular oral recommendations submitted by the country’s two major opposition political parties—Malawi Congress Party (MCP) and People’s Party (PP). The two parties, in their oral proposals to the conference, called for the stepping down of President Peter Mutharika, arguing that he had economically and socially failed Malawians. Speaking on behalf of PP, spokesperson Ken Msonda said government had failed to provide food to Malawians and had no clue on finding solutions to the current food shortage. 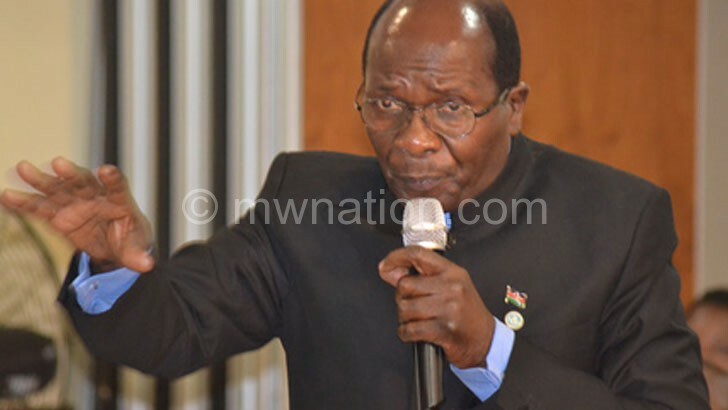 “As People’s Party, we demand immediate release of the maize if at all they have it… We are giving them 30 days, if they don’t have food in Admarc markets, government should step down because it has failed Malawians,” said Msonda. Speaking in his personal capacity immediately after Msonda, PP third vice-president responsible for the North Kamlepo Kalua said Mutharika should “pack up and go”. “We are giving him 90 days to resign because all these problems it is because of Professor Peter Mutharika. 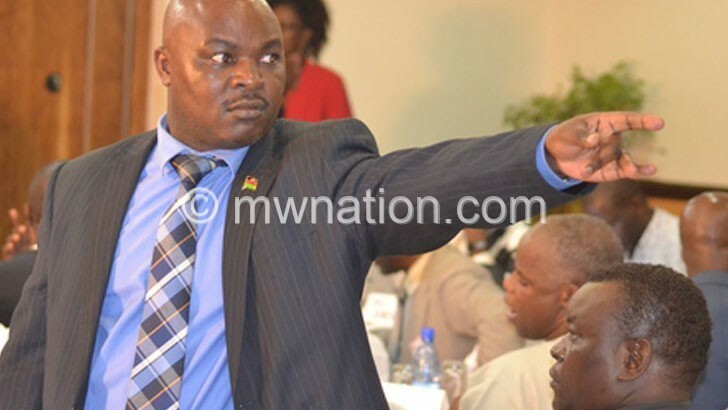 He has failed in two years to manage the economy, he has failed to show leadership, he is ruling this country by remote [control],” claimed Kamlepo. But this did not go down well with government representatives. Cabinet ministers nearly walked out of the meeting. President Mutharika’s adviser on civil society organisations Mavuto Bamusi described the recommendations as baseless and driven by evil interests. The remarks further compelled the opposition bloc to stand in unison and demand the moderator (political analyst Henry Chingaipe) to make Bamusi withdraw his statement to which he just ruled him out of order. As if that was not enough, Mutharika’s chief adviser on domestic policy Hetherwick Ntaba further notched up when he said if PAC was to maintain some of the resolutions, then “it means it is not what PAC is for” as some recommendations were insulting in nature to other quarters. However, Chingaipe said all recommendations were being regarded as input after which PAC would later produce a record of the meeting. “There will be a constituted inclusive technical committee that will look at all these issues precisely for the same issue looking at the implementability of those recommendations before they can be taken forward for purposes of action,” he said. “They were just playing around because it can’t be done [resignation],” he said. However, PAC chairperson Felix Chingota said the process would continue with his body analysing the recommendations and do its prophetic work on them before they are made ready for action. “The views gathered are recommendations. We have consulted enough and PAC management and others will look at the recommendations in due course,” he said. He, however, said there was no need for any quarter to be jittery about the meeting because PAC’s duty is merely to provide safe space for Malawians to discuss pertinent issues. “I am surprised that there was discrediting of PAC in the social media or trying to destabilise PAC… It was not in PAC’s agenda either to instigate any form of coup d’état or anything at all,” he assured. PAC held the two-day stakeholders conference under the theme Defining Solutions to Economic and Political Direction in Malawi with efforts to find solutions to the problems dogging the country. Msonda alimbuuuu ngati ogwila ntchito muchigayo! Mabvuto ose tikupeza kuMalawi kuno is because of him and that witch of his mother Joyce Banda lelo uziti DPP utule pansi mpando? Usova Msonda 2019 ndikale kale! Munangomva kuti blind loyalty you can’t even explain what it is mwati mundiuze ine? My sentiments are premised on reality on the ground. Joyce Banda stole government money and Msonda was in that government. He (Msonda) and his PP do not have the moral high ground whatsoever to criticise or let alone ask the DPP government to resign for the economic mess they themselves created with his Witch Mother Joyce Banda. Msonda/PP are the last people to judge DPP! The best resolution this PAC meeting can come up with is to ask for the return of Joyce Banda to Malawi and the money she looted. That way we will start moving forward as a country. Please spare me that unintelligent analysis of yours!